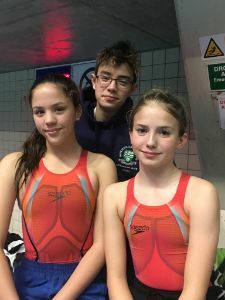 Three Worksop College Swimming Scholars competed in the 2018 North East Regional Championships recently. Harri Thorman, Nia Thorman, Amelia Smith all attended the event hoping to compete with the best swimmers in the area. Amelia qualified for 14 regional swims, Nia had 6 and Harri also had 14 qualifying swims. They all did well achieving personal bests in many of their events. The highlight for the Worksop trio was Harri's time of 54.1 secs in the 100M freestyle, which means he qualified for the 2018 British Nationals.